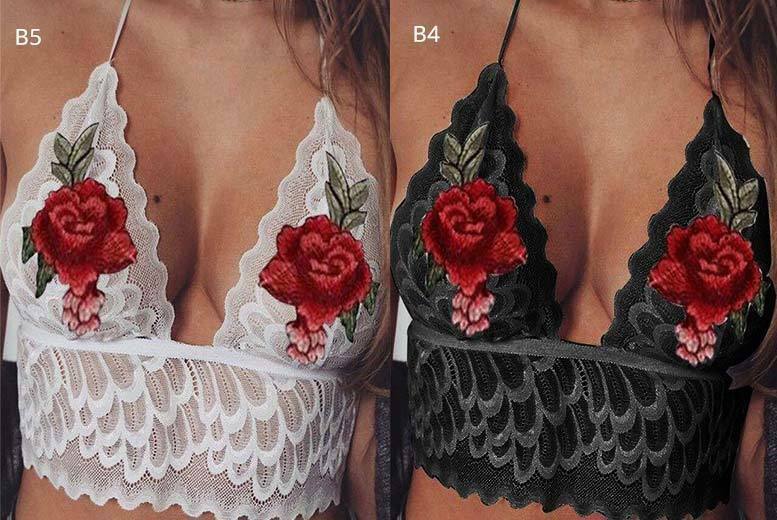 Flaunt it in an embroidered floral bralette! In a choice of black or white and sizes UK 6-14. Embellished with gorgeous red roses. This is the perfect to for a girl’s night out or hot date!